The site will be primarily a genealogy site and contain much family information, which will include pictures, a family history document and names lists and trees of past family members. The pictures will primarily be family orientated but will also contain snaps of house, garden, friends, and holidays. 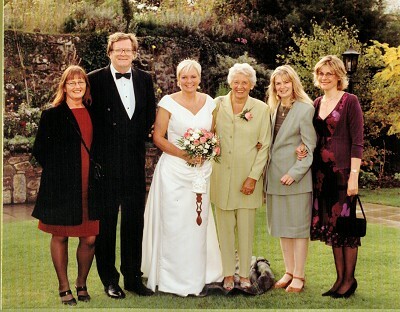 This is a photo of all the family at sister Jackies wedding in Bude. Now I am retired I have been filling some spare time with research into the family history which has been done mostly on-line and has many gaps still to be filled. The family history pages will contain much of the work I have so far done on the history of the Hildick-Smith family and will eventually include family trees, vintage photographs and much text concerning the research I am currently undertaking. The contacts page has details of how to reach us and links to all sorts of other interesting and useful sites. I would love to hear from anybody who has any comments or can perhaps add to the family details, and in return I will be only too happy to share the wealth of detail I have already unearthed. 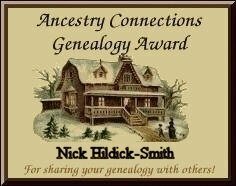 This link is to a Site which lists names of other genealogical sites. Please use it if you can. This page is only an introduction to the site but for up to date news of whats happening I will be regulaly adding to the Latest Updates page so just go there for the latest news.